We are so thrilled to currently have Carlie Bodensatz, our pharmacy intern, on board with us. Carlie is a 5th year pharmacy student at Duquesne University in Pittsburgh. 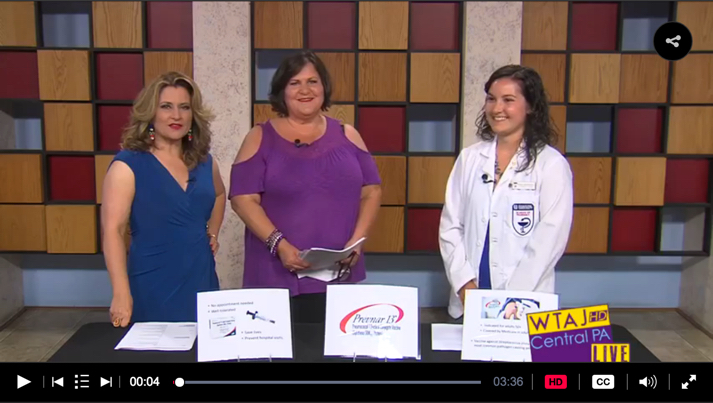 Carlie headed over to the Central PA Live studios this week to discuss an important topic we are passionate about here at Duncansville Pharmacy, the pneumonia vaccine, Prevnar 13. As a pharmacy student, Carli has come to appreciate the importance of preventing any type of vaccine, but especially pneumonia, because it is so common. This helps save lives and keep individuals out of hospitals. Despite the summer weather and illness being somewhat out of mind, it is still important for all individuals age 65 and older to think about and take the important steps in preventing the bacterial causing disease of pneumonia. Prevnar 13, is a vaccination available and is specifically for pneumonia. The most common pathogen causing pneumonia is streptococcus pneumoniae. The Prevnar 13 vaccine is designed specifically to target the 13 most serious strands of pneumonia. Prevnar 13 should not to be confused with a second vaccine available called Pneumovax 23. While is important to receive both, but Prevnar 13 is targeted more specifically for pneumonia itself. Yes. Age 65 gets most attention because both tax are covered by Medicare. Vaccine is indicated for all over age of 50, insurance typically does not cover. Do I need to an appointment to receive the vaccine? No appointment is ever needed to receive the vaccine. 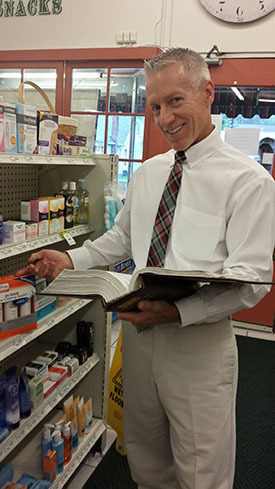 Our pharmacists are board certified and there to help answer questions. With two vaccines, there may be timing issues with receiving the vaccines, but we are here to help guide you through! As always, we are available to answer any questions and help you make the most informed decisions about your health as possible. Give us a call or stop by to learn more, or to receive your vaccination! To watch the full segment on Central PA Live, click here to visit their website!